So here we are again, discussing other low budget cash grab off Disney’s Hunchback that has character designs that are derivative to Disney’s Beauty and the Beast as well Aladdin. It would be hilarious if it wasn’t so pathetic. 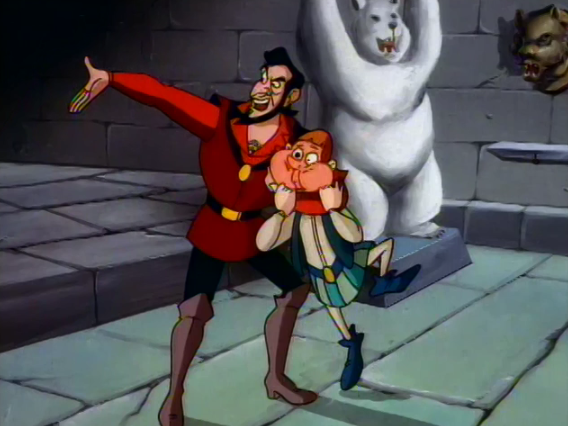 Compared to the Enchanted Tales version, the character design in this version is marginally more preferable. At least with this version’s Quasimodo isn’t some sad pretty boy, he looks as Quasimodo should look even if his hunch is angel wings. 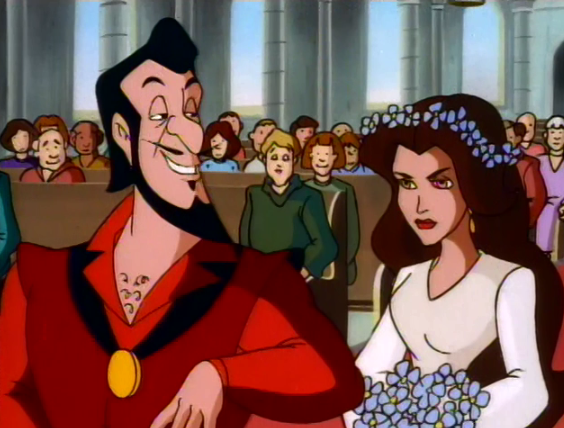 The other characters look their parts except Frollo who as I have mention before on his character review looks like Gaston and Jafar’s love child. Gotta wonder if they read the book or at least watched the 1939 version, my guess is no to both. 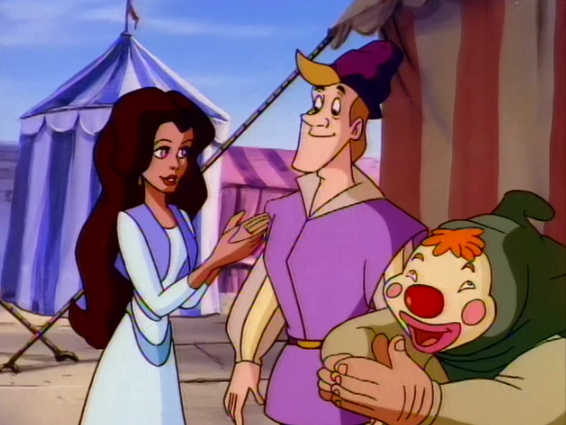 Also the character design in this version as compared to Enchanted Tales looks more cartoon-y, as in they went for more humorous designs instead of trying to make the characters pretty, and failed. Given the humor and how the Enchanted Tales version is misguided and stupid, the humorous goofy look is better but on the whole the designs are not good. 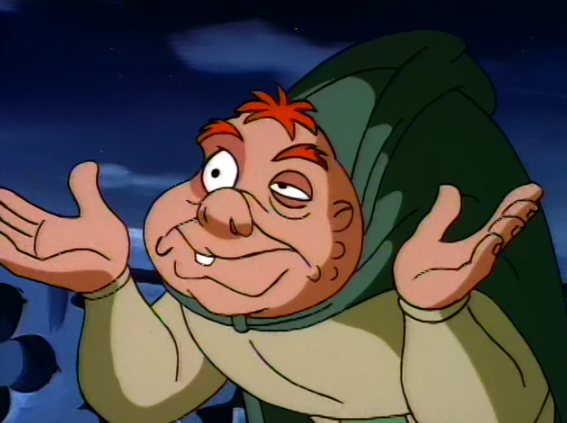 As far as the animation goes, there are Hunchback versions that at worse, so much worse, like hellishly worse and of course on the other end there is Disney movie. 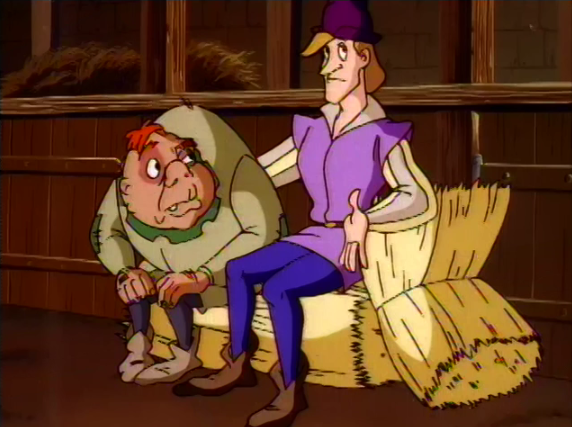 The Secret of the Hunchback looks more akin to a low-budget saturday morning cartoon. It’s fine giving the amount of money and effort they put in but no one is watching it for its art style. There is nothing special about The Secret of the Hunchback’s look and animation. It’s passable but only barley.